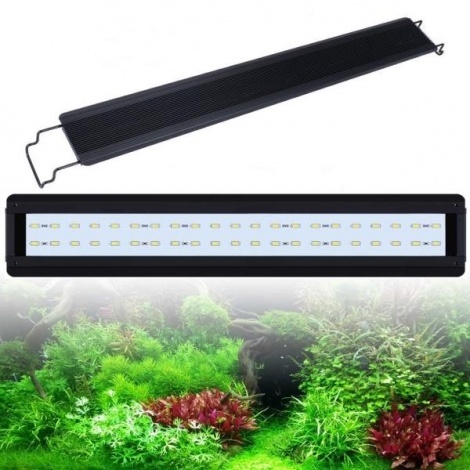 The Aqua Lover F002L- 30 Plant LED is ideal for freshwater planted aquariums from 30cm to 50cm long. 28 x 0.5w 6500K LED's offering an optimal growing range for planted aquaria, with high penetration and desirable colour rendering. Black ultra slim and durable high quality aluminium housing. Supplied with extendable tank mounting which offers +20cm adjustment over the light length. Optional: Aqua Lover Timer+ Brightness controller. Power supply: 100/240v 50Hz: 24v DC. IP20 Indoor use.